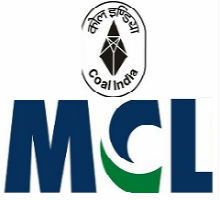 MCL Jobs Recruitment Notification 2018.Mahanadi Coalfields Limited, MCL inviting applications for the positions of Jr. Overman, Mining sirdar, Dy. Surveyor, Staff nurse, technician, physiotherapist and dresser jobs.Interested and Eligible candidates can apply for the positions. Total number of vacancies to be filled in MCL is 497. Mining sirdar ship certificate holders can apply for Mining sirdar post. Matriculation completed candidates can apply for surveyor post. 10+ 2 holders with nursing or diploma from a recognized university holders can apply for staff nurse post. For remaining posts the qualification is diploma in respective departments. Mode of applying for MCL Recruitment is through offline. Last date to submit applications is 08th September 2018. Through http://www.mahanadicoal.in candidates can download application form and send to below given address. Office of Recruitment Department At/PO, Jagruti Vihar, Burla Dist. Sambalpur (Odisha)-768020.